November was no October when it came to comics sales, but it didn't need to be to improve upon last year's performance. 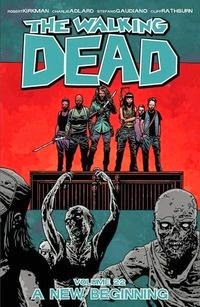 Based on Comichron's analysis of data released by Diamond Comic Distributors, comics shops in North America ordered nearly $46 million in printed product during the month, 8% more than last November — and the gains were made by both comic books and graphic novels. Click to see the sales estimates for comics ordered in November 2014. 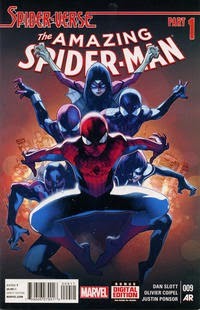 Amazing Spider-Man #9, one of two issues of the title released in the month, led the comics category with sales of more than 135,000 copies. The Top 300 comics for the month outsold the same grouping for last November by nearly 100,000 copies, so that extra Spidey issue could be considered the margin of difference. Walking Dead returned to its previous sales level, following last month's Loot Crate-enhanced sales; this would seem to strengthen the case that the October Loot Crate purchase of Walking Dead #132 was likely around 256,000 copies. That's more than Loot Crate appears to have bought of the Guardians of the Galaxy spinoff Rocket Raccoon #1 earlier in the summer, so it's likely there's quite a bit of variance in its orders from set to set. Given how the "crates" can be purchased a la carte as well as by subscription, that would make sense. The average comic book in the Top 300 cost $3.71; the average comic book retailers ordered cost $3.73. The median and most common price for comics offered was $3.99. Click to see comics prices across time. As mentioned Friday, Comichron projects the comic shop market will complete the year with orders totaling around $542 million, up a little less than 5% over 2013. You can contribute to that total by visiting your local comic shop; find one here.